FERC Reliability Technical Conference On June 10,FERC will hold a technical conference to discuss policy issues related to the reliability of the Bulk-Power System. Those interested in attending are encouraged to register. Senators Question FERC Nominees Norman Bay and Cheryl LaFleur - May 20 - Acting Chairman of FERC, Cheryl A. LaFleur (nominated for an additional term as a Member of FERC) and Norman C. Bay, Director of the Office of Enforcement at FERC (nominated to be FERC Chairman) faced questions from the Senate Energy and Natural Resources Committee in a hearing to consider their pending nominations. Acting Chairman LaFleur won praise from Committee Chairman Mary Landrieu and Ranking Member Lisa Murkowski for her expertise and responsiveness. Mr. Bay received tough questions from a number of Senators about his relative lack of experience in energy policy matters and his stewardship of the Office of Enforcement. FERC Announces Joint Meeting with Nuclear Regulatory Commission May 19 - FERC issued a notice of a joint meeting between its commissioners and the commissioners of the Nuclear Regulatory Commission (NRC). The meeting will be on May 28, 2014, at the NRC's headquarters in Rockville, Maryland, and the agenda includes presentations from both agencies' staff on grid reliability. NERC Issues Summer 2014 Reliability Assessment - May 14 - NERC issued its 2014 Summer Reliability Assessment. The Assessment finds (1) adequate planning margins NERC-wide, including in ERCOT, where new generation coming online will help meet peak demand, and in MISO, where plant retirements have shrunk the reserve margin; (2) environmental regulations together with natural gas availability have led to the closure of 43 GW of generation capacity; and (3) meeting summer peak increasingly depends on natural gas-fired generation, which can be constrained by summertime gas storage injections and pipeline maintenance activities. FERC Approves Updated WECC Regional Reliability Standard May 13 - In a letter order, FERC approved an update to WECC Regional Reliability Standard IRO-006-WECC-2 (Qualified Transfer Path Unscheduled Flow Relief), which replaces IRO-006- WECC-1. FERC also approved a modification to the regional definition of “Relief Requirement,” the regional implementation plan, and the associated violation risk factors and violation severity levels. FERC set an effective date of the first day of the first quarter at least 45 days after issuance of the order. 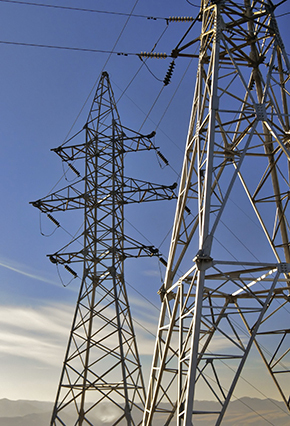 NERC Proposes Revisions to CIP VRFs and VSLs May 15 - NERC filed with FERC proposed revisions to Violation Risk Factors (VRFs) for two Critical Infrastructure Protection (CIP) standards, and Violation Severity Levels (VSLs) for four CIP standards. These changes respond to FERC's Order No. 791, accepted NERC's CIP standards but which required modifications to certain of the standards. The proposed changes shift two VRFs from "lower" to "medium" risks, and remove "identify, assess, and correct" language (as well as other technical) modifications for the VSLs. NERC Submits Budget Compliance Filing - May 15 - NERC submitted a budget compliance filing to FERC in response to FERC's January 16, 2013 order in Docket No. FA11-21-000 ("January 16th Order"). In the January 16th Order, FERC approved a settlement agreement between FERC's Office of Enforcement ("Enforcement") and NERC regarding Enforcement's findings and recommendations arising out of its 2012 performance audit of NERC. Specifically, NERC's budget submission included, as required by FERC's January 16th Order, the "budget-to-actual variance information for the first quarter of 2014." NERC Submits Updated Communications Reliability Standards for FERC Approval May 14 - NERC submitted updates to two communications reliability standards (COM-001-2 - Communications, and COM-002-4 - Operating Personnel Communications Protocols) to FERC for approval. NERC also submitted proposed changes to certain related definitions, as well as updates to the implementation plan, violation risk factors, and violation severity factors for the updated standards. Among other changes, the updated standards would establish a baseline set of mandatory communications protocols, would require that these protocols be used regardless of whether the system was in a state of emergency, and would establish a "zero-tolerance" policy for misuse or failure to use certain communications protocols during emergency conditions. NERC Submits Petition on MOD Standards - May 13 - NERC submitted a petition for approval (and errata filing) of Reliability Standard MOD-031-1 and retirement of currently effective Reliability Standards MOD-016-1.1, MOD-017-0.1, MOD-018-0, MOD-019-0.1 and MOD-021-1. Proposed MOD-031-1 (1) clarifies data collection requirements; (2) includes Transmission Planners as applicable entities that must report Demand and energy data; (3) requires applicable entities to report weather-normalized annual peak hour actual Demand data from the previous year to allow for meaningful comparison with forecasted values; and (4) requires applicable entities to provide information relating to, among other things, the accuracy of their Demand Side Management and peak Demand forecasts. NERC Supplemental Information Filing on Proposed BAL-001-2 Reliability Standard - May 9 - NERC filed with FERC supplemental information to its April 2, 2014 Petition for Approval of proposed reliability standard BAL-001-2. The supplemental information addresses FERC directives in Order No. 693 and provides an update regarding the status of a field trial for proposed reliability standard BAL-001-2. The field trial is aimed at monitoring the significant costs associated with converting from BAL-001-1 to BAL-001-2, particularly the significant costs associated with upgrading energy management systems and training for operators. The petition notes that 47 balancing authorities are participating in the field trial and a recent report on the status of the trial was presented to the WECC board of directors. NERC Board of Trustees Meets - May 7 - The NERC Board of Trustees held its quarterly meeting, during which it adopted 3 standards (MOD-031-1- Demand Data (MOD C), VAR-002-3 – Voltage and Reactive Control, and COM-002-4 – Operating Personnel Communications Protocols), adopted 11 revisions to Violation Risk Factors and Violation Severity Levels, and adopted NERC staff performance metrics for use under the Electric Reliability Organization Enterprise Strategic Plan 2014-2017. NERC Board of Trustees Adopts Physical Security Standards - May 13 - At its May Board of Trustees ("Board") open meeting, the NERC Board adopted CIP-014-1 containing a proposed reliability standard for maintaining the physical security of the grid. The proposed standard responds to FERC's March 7, 2014 order directing the filing of physical security standards. NERC is in the process of preparing a filing to FERC to seek approval of the proposed reliability standard. Oral Argument Held in Case Challenging NERC Authority to Fine Federal Government May 9 - Oral argument was held in Southwest Power Admin., et al. v. FERC (D.C. Circuit Case No. 13-1033), which involves a challenge by the Southwest Power Administration--a division of the U.S. Department of Energy--to a monetary penalty for violations of reliability standards that was imposed by NERC and upheld by FERC. At issue in the case is whether section 215 of the Federal Power Act provides a waiver of the federal government's sovereign immunity and authorizes FERC to impose monetary penalties on the federal government. Several judges on the Court of Appeals for the D.C. Circuit asked sharp questions about FERC's arguments. To listen to the oral argument, click here.